In recent years, Ford’s F-150 product planners and marketing staff have found themselves with an enviable “problem:” They have apparently not yet found the ceiling for what buyers will pay for a fully decked-out full-size pickup. With each new model year, pickup manufacturers keep finding buyers for ever-more-high-end trim levels loaded with new features and gilded with luxury-level appointments. The original Lincoln Blackwood Concept made the rounds of the auto-show circuit in 1999. 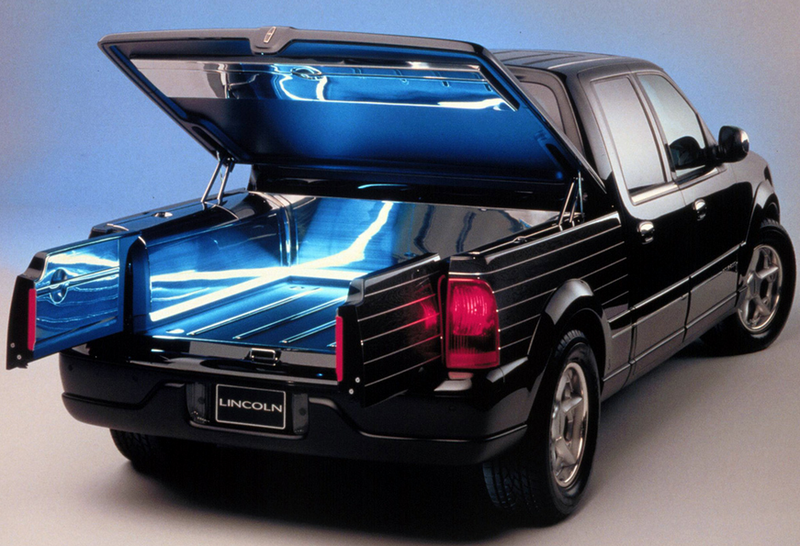 The swanky neon lighting didn’t make it to production, but the novel side-hinged “Dutch-door” tailgate arrangement did. Consider this Ford F-150 SuperCrew Platinum recently reviewed by Consumer Guide. Ford’s once-humble half-ton workhorse can now be equipped more like a rolling luxury condominium than a dirt hauler, which helps explain how its sticker prices can now easily top $60,000. Funny how Ford–as well as Chevrolet, GMC, and Ram–have no trouble peddling premium pickups, but Lincoln couldn’t make it work. 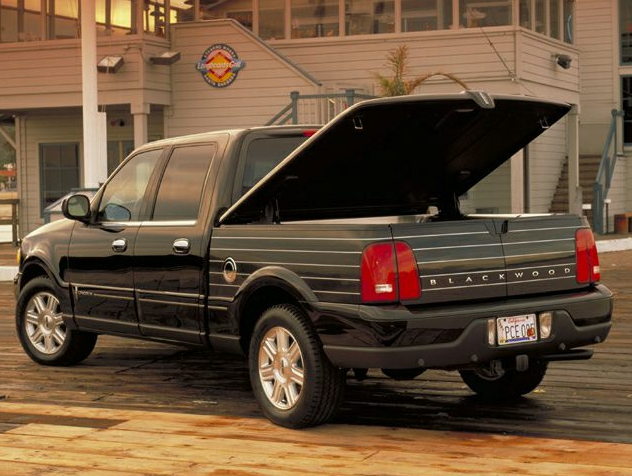 Those who remember the 2006-2008 Mark LT may recall the Lincoln-branded pickup as a marketplace dud. However, the Mark LT sold positively briskly compared to Lincoln’s first attempt to sell a pickup. Available for only a single model year in America, the Lincoln Blackwood was meant to be the ultimate luxury pickup truck, and was outfitted and marketed with that in mind. 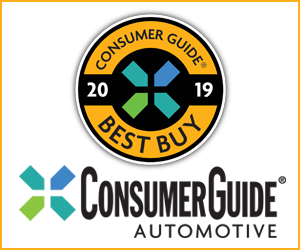 The editors of Consumer Guide took a rather dim view of the Blackwood in their original review, questioning the point of a pickup with compromised bed space and limited second-row accommodations. 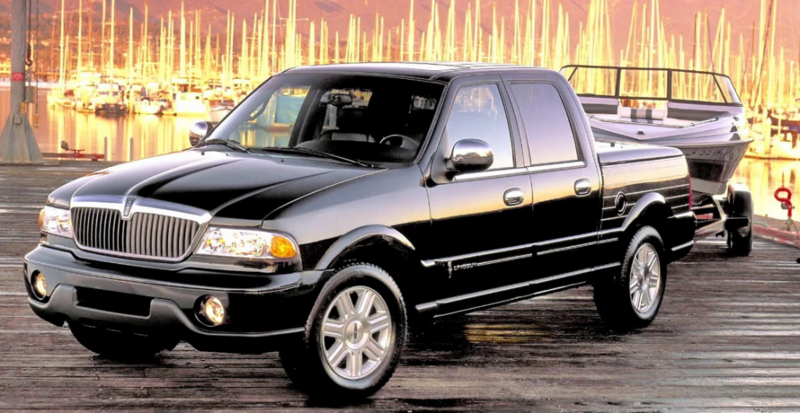 Lincoln’s initial sales projections for the Blackwood were 18,000 units for the 2002 and 2003 model years, but actual sales came nowhere near that number. Lincoln pulled the plug before the 2002 model year was over, and ended up producing just 3356 Blackwoods. Presented here is Consumer Guide’s original 2002 review of the Blackwood, as well as specs and pricing. If you ever spent time with a Blackwood, please tell us about it. The place to leave comments is at the bottom of the page. Blackwood’s fully enclosed cargo bed was handy for transporting smaller items, but the hinged, non-removable “bedlid” and cargo-bed carpeting rendered the truck mostly useless for hauling typical pickup-bed cargo. Lincoln’s first pickup truck borrows front-end styling and interior appointments from the Navigator SUV, but gets its own unique cargo bed. Blackwood is basically a Ford F-150 SuperCrew, but seats four instead of five or six. It comes only with a 5.4-liter V8, automatic transmission, and rear-wheel drive; 4WD isn’t offered. The cab has four full-size front-hinged doors. The 4-ft 8-inch cargo box has two side-opening doors instead of a tailgate. It’s capped with a solid, power-lifted, front-hinged, nonremovable cover designed to be watertight. 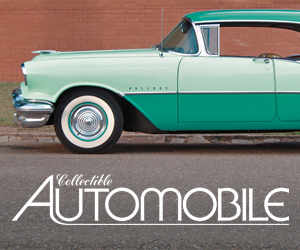 The box also has storage compartments, floor carpeting, stainless-steel sidewall trim, and internal lighting. Also standard: front side airbags, traction control, antilock 4-wheel disc brakes, power-adjustable foot pedals, heated and ventilated front seats, and rear-obstacle-warning system. Blackwood comes only in black, and the sole option is a navigation system. 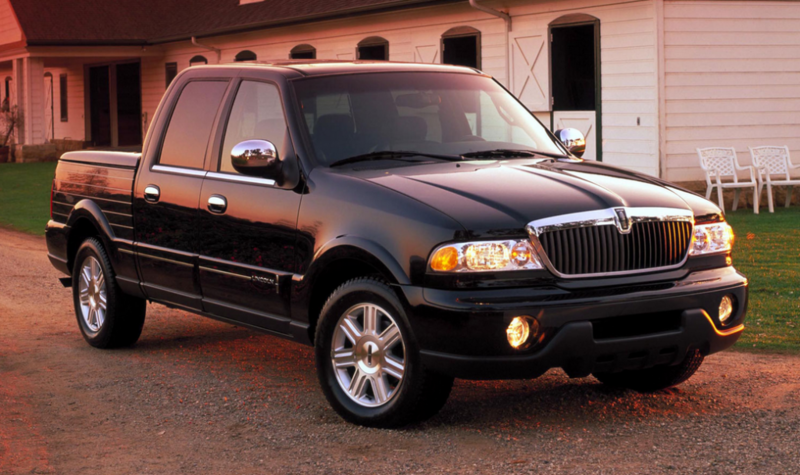 Lincoln has announced that the Blackwood will not return for the 2003 model year due to low sales. Pretty strong off the line–8.7 sec in our 0-60 mph test–but a bit lazier from midrange speeds despite responsive automatic transmission. Towing capacity is 8700 lb. Test averages were 13.8 mpg including performance tests, and 14.8 in a mix of city/highway driving. Premium fuel required. Blackwood feels jittery on scalloped surfaces and jumpy on sharp bumps, despite its unique air-assisted leaf-spring rear suspension. Though body lean is moderate in hard corners, Blackwood feels as ponderous as most big pickups and is clumsy in tight spots, though rear-obstacle-warning system increases confidence when backing up. Simulated panic stops swift and sure, but brake pedal has dull, high-effort action. Tire noise well checked. Nice-sounding engine noticed only under full throttle. One test model had low wind noise, another suffered intrusive wind howl above 60 mph. Dashboard comes from humble Ford F-150, so uses a fairly inflexible automatic climate system mounted, like the radio controls, a fair reach from driver (though redundant controls are on steering wheel). Optional navigation system’s console-mounted screen is too small, too low. Dark-tint real wood trim clashes with run-of-the-mill plastic moldings. Ample grownup room. Drivers enjoy tilt wheel, power seat, and adjustable pedals, plus 2-position memory to save all the settings. Front seats’ internal heating/cooling works well. Entry/exit awkward only for shorter folks. Visibility clear to all quadrants. Two adults have sufficient room, but must ride knees-up if front seats are halfway back, have hardly any toe space beneath them. Bucket seats are small and poorly bolstered. Lowish step-in height, but narrow floor-level passageways hinder entry/exit. The cargo box–a 26.5-cu-ft “trunk,” says Lincoln–is long but not very wide or deep and isn’t trimmed for dirty work. Nonremovable cover powers up and down without fuss via keyfob or cabin buttons, but precludes tall objects and inhibits side access at its forward end. Rear seats fold in one step, but don’t lie flat. Ample small-item storage, but audio and navigation CD units use up most of the big front center console bin. As an expensive lifestyle statement, Blackwood is at least exclusive. But it isn’t as comfortable or versatile as any full-size SUV, and lacks 4WD security and “real truck” practicality. With more than 300 pound-feet of torque on tap, the Blackwood was more than capable of boat-towing duties. Written by: Tom Appel on April 11, 2018.